Danâ™ strong belief in the power of the entrepreneur is evident in all areas of Strategic Coach which works to help entrepreneurs reach their full potential in both their business and personal lives. He is author of over 30 publications, including The Great Crossover, The 21st Century Agent, Creative Destruction, and How The Best Get Better. Jason: Welcome to the Speaking of Wealth show Episode#4. This is your host Jason Hartman where we discuss profit strategies for speakers, publishers, and consultants. I hope you enjoyed the last few episodes. Last one we talked to Dan Poynter, the self publishing guru, and you know what he talks about is really a large part of a democratic society I think because self publishing really allows everybody to get the word out about their topic, or their area of expertise. It”s no longer a situation where this is decided by just a few big network media outlets or a few big publishers. Everybody can self publish nowadays and get the word out, and build their own following their own tribe as Seth Gordon says. Their own audience. So I hope you enjoyed that one, and then I hope you enjoyed Episode #2 Ann Bruce where we talked about how to speak for a living and then number one was with Harvey Mackay you know him of course the bestselling author multiple times over. Mr. Swim with the Sharks, Harvey Mackay and today I would like to bring over an episode from one of my other shows and that is the Creating Wealth show which I have been doing for about five years. We”ve got well over 180 episodes now, and this one I thought would be particularly interesting to speakers, publishers, consultants, coaches, and so forth because this one is with Dan Sullivan, the strategic coach. And he talks about business, and how to grow your business, how to expand your business. I”ve been following his content for many years since I discovered him through Young Entrepreneurs Organization kind of a sister organization to YPO Young Presidents Organization at their university several years back in New York City and Dan Sullivan is just a great guy. So we got two Dan”s in a row here. And let”s go to the interview with Dan Sullivan the strategic coach taken Creating Wealth show Episode#123. I think you will really enjoy this as a speaker, publisher and consultant. We will be back with that in just a second. Introduction: What”s great about the show is you will find on jasonhartman.com is that if you want to learn how to finance your next big real estate deal, there is a show for that. If you want to learn more about food storage, and the best way to keep those onions from smelling up everything else there is a show for that. If you honestly want to know more about business ethics, there is a show for that. And if you just want to get away from at all, and need to know something about world travel, there is even a show for that. Yeah there is a show for just about anything only from jasonhartman.com or type in Jason Hartman in the iTune store. Jason: It”s my pleasure to welcome Dan Miller to the show. He is the President of 48 days and he specializes in creative thinking and increase personal and business success, helping people discover their unique natural gifts in integrating them into career choices, new career choices, and business choices. Dan it”s great to have you on the show. Dan: Thank you Jason. I am looking forward to talking to you. Jason: Well, likewise. Tell us a little about what is it you do? Dan: I am a author and life coach, and usually the tags that I hang behind my name. I”ve had the privilege of moving into more and more writings in the last few years, but got into this kind of space by being a career coach discovered there were so many people basing inevitable and relentless job transitions and so I have to place here many years now working with people who were looking at making those changes, and these are usually people that are not having not just lost the job at Taco Bell, but often people who feel trapped by virtue of their academic training, so physicians, attorneys, dentists, pastors who really often at 45 years old wake up and say I am living somebody else”s dream. This is not my dream. Help me make a change, and so I help people make those changes, see what the opportunities are often by really taking a for instance look at the new kind of work models that we have today available and they really are exploding all around us even as we speak, so its not just a matter of where can I go and get a job, and have them guarantee me a paycheck, give me a paycheck on Friday and a 401k contribution and medical benefits that mean I would be part of what the new opportunity looks like, but I am excited about helping people in that arena. And then as a result I do a lot of writing. I have written a couple of different books that address those kind of issues and help people understand what their options are. Jason: Well fantastic, so Dan what are some of the new opportunities out there. We live in such an innovative world, and I marvel at it everyday at how capitalism is just such a wonderfully freeing thing for the human spirit, and how it just every possible need any of us could imagine someone is there to fill it. It”s just amazing. Jason: But with the internet and with the ability to have a home based business, a small business, and level that playing field or flattened that playing field a little bit. The little guy really has a lot of opportunities nowadays don’t they probably more than ever before. Dan: Yeah absolutely right. I love the way you frame that. Capitalism is a freeing experience, and that it is. And it is, has never been easier to become a player than what it is today. You know with the internet, and that”s not just the magic tool for everybody, but certainly it opens some doors, it kind of flattens the world so to speak where you can be a player in a real tiny, tiny niche. I mean you can have sun glasses for dogs where you could never justify opening in a retail store for that because there wouldn”t be enough people within the geographic radius, but if you are on the internet you instantly have accessed to the entire world theoretically, and you can get a really tiny, tiny portion of the prospects there, and still knock it on the park. You know I”ve done that with my own personal books where I love books. It would be real tempting for me to open a nice clean little bookstore in Franklin, Tennessee, and what its for real term where I realized I am never going to do that. There is nowhere in the world. You know where I am going to confine myself to a five mile radius of prospects? No. I had a bookstore on the internet, and because of that we get orders from literally all over the world that amazes me everyday. Its never seem too amazed, and how we had penetrated in to another countries beyond the United States. Now it is easy to start a business. Also when we use to talk about starting the business we would think about a bolly-nolly service station, hardware store, bookstore something like that, but today the most profitable business often don’t have any bricks and mortar at all. They are using service information or technology as their key concept, and so somebody can become a player right along with a major, major company you can make yourself look like a player in that same space by simply having a nicely designed website and offering service a value to people. Jason: And what are some of these innovative businesses, of course you mentioned kind of half sarcastically sun glasses for dogs, but only half sarcastically I think. What are some of the really unique things you are seeing out there because there is just a limitless number of ideas aren”t there? There is a website for everything. Dan: There really is. And again I love the web, and what its able to do, and I have seen people take very common ideas and do really well there, but also I don”t want to make that just the cookie cutter solution for everybody. There are opportunities for people who are not tech-savvy to do something with the unique skill that they have, and still do extremely well. We have on our property here in Franklin, Tennessee a tree that got damaged in the storm a couple of years ago beyond restoration. Well, been an old farm kid I hate losing a tree and I could hardly bare the thought of just cutting this thing down than having an ugly stump to deal with. So I called, made a couple of phone calls, called the place who repairs my chainsaw. I said aren”t that people that carved in wood. Well, they gave me a number I called. He gave me a another number. I talked to a lady. She said well, you know I carve in wood, but I never done a standing tree. I have only done things on my bench in my shop, but if you are open to it, I would be happy to come out and take a look with you. I said well, come on out. Well, she did, she carved two faces one on either side of that dead tree in our yard. Now these we call at our wisdom guard and we actually have created a little garden around it. Kids love to come up, and touch this faces. They are about four feet tall. It looks like we got Abraham and Moses looking to cross our yard in either directions, so we took what was going to be an ugly stump and transformed into an permanent piece of art in our property. Now, here is the thing about that lady. She had been a corporate executive, never married was making a very reasonable income, and just realized that her soul was being sucked out, or she sat at a cubicle everyday and she kind of tapped into her passion. So she said read one of my books 48 days To The Work You Love. She says helped her do that realize she was off base instead of doing this kind of work. Now, the interesting about this is you would never ever meet with your high school or college, guidance counselor, and they would say you need to grew up and be a tree carver. Dan: Well, you are not going to find that in the dictionary of occupational titles. Its way too individualized, but that”s just really in part. You can find something that is so individualized, so personalized that it engages your unique passions, dreams, and values, and do extremely well. There really isn”t much barrier to entry. That means and may it be intimidating to some people think well, gee I am not an entrepreneur. I am not a Donald Trumpeted turn to kind of person you don’t have to be. You can shape the idea around what is unique about you. And that”s really where we get the power of these ideas is in finding things that are I will ask them to accept. I”ve got a tree carver I couldn”t do that. But for this lady that tapped into some childhood passions that she had, and it was a perfect fit for her. I”ve got a gentlemen who came to me as a — actually as a pastor, and he thought he was doing something very godly, but at the same time it was very frustrating just eking out of living. He was working as a desk clerk at a hotel during the weeknights in order to just keep the lights on in his house because they were struggling so much financially. It came to me, and we”ve kind of peeled the onion so to speak which is always the case. We don’t have to just put something on top of the person and say here is the best opportunity or trend. It”s usually a matter of looking inward first. What does make you tick? What puts you in the zone? What is it that when you are doing at time just flies by? Well, with this young guy he would talk about going into a room in their house, closing the door, he would put on Beethoven and Mozart, and he would draw just as dramatic abstract paintings, had never sold anything in his life, but he would do that just kind of as a personal release and cleansing. I hadn’t quit what he was doing. Everything he was doing including pasturing the church. And for four years he did though finishes were he would use brushes, punches, rags and produces dramatic effects on the walls of peoples businesses and homes, but that gave him the freedom to do this really beautiful paintings. Today he doesn’t do full finishes at all. He simply does these paintings. I have one hanging here in my office, so they gave me just out of appreciation for the transformation he experienced and it’s a $10,000 painting which is pretty typical of his work at his point. And here is the interesting thing about that. If I wanted to just simply address his financial needs would I have suggested that we come an artist? Well, we know we hear about artist start being an artist, and we have hundreds of them in any city in America, but if that is really his authentic fit that”s his best opportunity to find work that is fulfilling meaningful purposeful and profitable. And with him at this point his income, he estimates his income is 12 to 15 times what he would ever have made as a pastor. We didn’t do it because of the money, but the money showed up because it was an authentic fit. And I think that”s what a lot of people are missing Jason where they are just trying to do something well that they don’t really believe that may think they”ve been responsible by just trying to do something to produce a paycheck that”s a horrible trade-off to make. Jason: I remember from years ago Dan, and what you are saying reminds me of it. One of my great mentors was Earl Nightingale. I am also a huge fan of Denis Waitley and Zig Ziglar of course, and all those from kind of the old school of motivational speakers and writers and so forth, but I remember one of the things Earl Nightingale taught me many years ago. He said that there were two types of people, two types of actually I should distinguish successful people. One type is the river person and the type is the goal person. And you were just making me think of that because what he says is he says the river people are those just fortunate souls who kind of always know what they wanted to do, and what their passion was. And all they had to do in life is just be in that river of interest so if its music they would be the most art of it was painting. They could be the next Michelangelo or Da Vinci or whoever, and all they had to do is be in it because they were so passionate about it, so interested and so consumed by it that it really wasn”t work for them. Then he says for most of us though, if we are not a river person or we haven’t discovered our river of interest yet, and I know you help people do that, so I definitely want to hear more about that. It”s just incumbent on us to be goal people and set goals, and achieve them progressively, but I guess at some point like you say the goal person and I can be a drag baby if its so far out of alignment with ones passion and interest in life, right? Dan: Absolutely. Those goals are to getting you closer and closer; closer to what is the true passion. If you are just trying to again make yourself do that. It”s sometimes people they had that perception of goals, that it just kind of forces you to do the right thing. Goals ought to be the very true expression of what you really want to accomplish in your life. They just help you get there quicker. Jason: Well, how can one — I mean I love the questions you just mentioned. What turns you on? What are your passion is about? What sort of moves you, but how can someone really know what their thing is because I talk to people and I try to counsel them, and helped them when they come to me with this sort of dilemma and what should I do with the rest of my life, or whether they are young, or middle age, or older? People live so long nowadays, and have so many choices that sometimes just the choices can be really daunting. How can someone really identify what”s right for them? Dan: You know people struggle with this a lot whether they are still trying to find their passion, their purpose, destiny calling how we want to frame that but just to make it easy just describe what their passion is. I don’t really understand why it”s so difficult, and I work with people. I have been doing this for 25 years, and I still don’t — its still concerns me, and makes me scratch my head to find people who don’t recognize their own passions easier. And I have a two year old granddaughter who spends a lot of time with me because her momma works for me. It”s not very difficult at all to see what her passions are. I mean you walk to a Wal-Mart store you are going to know real quick what little _____ [0:17:19] cares about. Jason: For a two year old? Jason: Now tell us about that you know. Dan: Well, she is so transparent. I mean if its teddy bears as opposed to doll babies, or if it”s something in the — if it”s been outside you know rather than being can bind inside, but she is extremely transparent. The foods she likes the same kind of foods that I do you know. She goes with me to Mexican restaurants and likes the salsa and chips, and that she doesn”t care for peas and carrots. I mean she is so transparent in things that she is really drawn to. And at adult seem to have just pulled bailed cloud down over their eyes where they just don’t even really understand what they enjoy and what they don’t. Now, I understand that you know light happened, and sometimes we can kind of come become numb to things like that. I did a seminar not too a long ago, and the gentlemen right in the front row was very attentive during the seminar was talking about living out your dreams, holding on your dreams and living those out, and he came up afterwards and he says, I really don’t have any dreams. And I said how is that possible? How could you be breathing living person and not at any dreams? I said what you do, and he described that he is the pharmacist, has been for 17 years and what he described was what we referred to as the frog in the cattle phenomenon. Now I don’t think if its exactly scientifically true if it makes a good point. We are told that if you put a frog in hot water, he will jump out. But if you put a frog in lukewarm water, and slowly turn up the heat, they would sit there, and cook to death. And I find that that kind of happens to a lot of adults. They grew up, got out of schools, started a life, and the changes have been slow and subtle, and they just comia pyorittaa suuri ja vakavarainen Mansion Limited, ja kokemus nakyy: Casino . never paid attention to them, and all of a sudden they are brain dead. They don’t really notice anymore what really appeals to them. I have here on our property where I do my coaching and most people come in at least for the first part of that process. I often take them on one of my nature trails. We just go for a walk, and if I see a busy CEO I see the $400,000 year CEO, and he doesn’t notice the squirrels. He doesn’t see the beautiful red cardinals setting in the bushes we walk by. He doesn’t any of those horses that were playing together. It gives me a real good indication of why his life is so dull and meaningless. They just has stopped seeing things around them, so my encouragement again without making anybody feel guilty is to pay attention to those things that are right under your nose. Be reminded again of what it is that you really enjoy. What brings you joy? What puts you in the zone? We talk about happily to be in the zone. What is it that does that for you? I can imagine people not having those indicators. That”s why I prefer to work with people who have had a lot of life experience. Its tough to do this when they are 20 years old. But by the time somebody has had a little life experience then we can look back, and we started to see all those benchmarks, those recurring themes, and its in those that we get more and more confirmation. This is what”s going to make sense for you. This is the kind of work you ought to be doing. This is how you ought to be working with other people. This is how you ought to be leading and we get all those kind of things just by peeling back the layers of life that have already happened and looked at those. I tell people Jason that 85% of the process of having the confidence of proper direction comes from looking inward. 15% of the application that”s the easy part, but a lot of people go directed to the application who is hiring, what”s the best franchise you could possibly get into, what are the trends in business. Those are recipes for what can be very short term solutions and long term frustration. But if you take a deep breath, look in were take the time to do that you ought to come out with a clear confidence of having a proper focus its going to give you a sense of meaning in applied work in that area. Jason: Yeah good points. What else do you cover in your work? I mean unique business models, finding what one is truly passionate about, and in your body of work Dan what else is there to it. Is there more? Dan: There is. I have a lot of moving pieces in what I do. I am a big believer in having what is coming. I will refer to as multiple streams of income. Jason: Very good, yeah so I like that. And I think all of our listeners do too. Dan: Okay I would become bored quickly if I were doing only one thing even though there are certain things that I enjoy a lot. 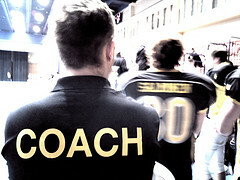 I do love coaching. I love working with people, but I only do that one day a week, let”s say you are going to say well, why don”t you”re doing it five days a week? I mean it”s extremely profitable? Why don’t you do it five days a week? No. I could not bring the same kind of energy and enthusiasm to that process if I had non-stop clients sitting in front of me five days a week. We just — so I do it one day a week. Then I have time where I do just writing. No, I have a lot, certainly a lot of time for speaking. I have had all the pleasure of working with a lot of coaches. We have a coaching network. And here is and they seem to be kind of an irony in the business model, but it”s been extremely successful for me, and that is I have a lot of people over the years coming to me, and say Dan I want to do what you are doing. Show me how to do what you have done. Well, you can think that that”s going to meet — I am going to have a lot of competitors. I”m creating my own competition and that stability in the market, but that”s been an extremely profitable area for me to specialize in so I have a lot of people who are also coaches that I work with, but not only do I work with individual clients, but then I also coach coaches. I think you can find those kinds of opportunities in any given industry, in any given position where you just find creative ways to provide value, so I have a lot of — I mean I have a difficult time saying no to all of the new opportunities that are appearing just in what I do, and really I”m just an author and coach and you would think well, Jesus things are kind of slow right now. Here is an interesting component on that. I have coaches contacted me right now. Then Dan how can I possibly make a living as a coach because you know right now we are in a recession. People are only purchasing necessities. Nobody is going to spend money on coaching when times are as tough as thing. And I am thinking you go to be kidding me. We had over three million people lose their jobs in the last 24 months. How could this not be the greatest time in history to be a career coach? Isn’t just like shooting fish in the barrel, but see here is what happens, and that you have been listening to people like the Denis Waitley and Earl Nightingale and Napoleon Hill and the people that you mentioned previously understand there is principle, those same people who wills say how can I possibly make it as a career coach when times are tough. Guess what happens when things around and we”ve got full employment. They are going to say oh my gosh, who needs me now. Everybody has got a job. See the mentality precedes circumstances. Jason: Certainly I completely agree with you if there is much more to be said for the concept of the self fulfilling prophecy, and you know we used to have the senator here in California S. I. Hayakawa years ago wrote a rather renowned book about it, and it’s a great quote. He said the self fulfilling prophecy is something that is neither true nor false yet it is capable of becoming true if it is believed and that”s exactly what you are saying. Jason: People make it true. Dan: And there is a disagreement and Henry Ford to similar whether you think you can, or think you can either way you are right. Dan: Yup and I found out to be so true in times like these made everybody wonders if these are the worst of times. Well, there are just times. We”ve been through this before, but I find in this particular time everybody knows that of course new building construction, housing constriction is in the tank. I sell to one of my friends this morning who is in that space. He builds high end homes. He says he is trying to avoid answering the phone because he is so far behind and the work that he is committed and have so many people knocking on his door, and have been build new homes for him. We got to be careful about this generalities. There are people who are doing. I talk to a friend in the mortgage business recently, and again they have been really hammered hard. I said you know well, how things going expecting to sell, man I am barely speaking. He said I just had the best month there I had in my life. He said that the rates we”ve got right now, we are doing refinances faster than we can get people in and out of the door. No matter what the industry there is still opportunity if you see it differently, and we know that car sales are really in the tank right now especially American made cars, and then those motorcycles are down, not as much as cars because a lot of people discovered the motor cycles are more economical, but here is an irony. Are you familiar with Jesse James? It makes high end customized motor cycles. They start at a $150,000. Dan: Now surely you would think well, he is toast in this kind of economy. No he has a four year waiting list. A four year waiting list, if he stops selling another one right now he would work for four years just trying to fulfill the orders for bikes that start at a $150,000. We just have to be careful about this generalizations. Dan: And look for opportunities and recognize opportunities that other people don’t see. Jason: Now, Dan I will hope you will forgive me, but I want to play Devil”s Advocate with you for a moment. Dan: Oh go for it because I think there are sort of two sides to this issue. So couple of things, number one is people listening to this will say well come on, be a realist, and what I find most of the time is realism is just an excuse for pessimism, so I want you to know where I am coming from I say this. However, isn”t this sort of discontent sometimes the thing that gets the person to jump to the new better opportunity? On one hand you want to say look, the old saying there are no small parts, only small actors, right that”s a valid thing. And there is opportunity at every business I am sure, but if someone today is just fighting the tide in a changing industry or in the job market where their jobs are being outsourced to India, China and wherever else, the whole impetus to make the leap to something new is to be discontented right. Jason: So where is the balance in this thinking in that? Dan: How may times I hear from people, I heard from the lady today I said you know how could I possibly be created when we are struggling so much financially, but here is the challenge in that thinking when somebody is not struggling financially its very easy become contented with the status quo, and just continuing doing that. Immediate reaction from almost everybody who loses a position and that we hear from lots of them is thinking oh, we are going to have to take the kids out of private school turn back in the cars we have, give up the vacation this year, or stop with our country club membership. They always think less and yet you know what 18 months after that I so freak away here you know what that”s the best thing that ever happened, and they — because it forced me to look at new options. I realized I was not taking advantage of opportunities that I had, and I am in a much better place to do than I was then. We are not here that just so often it gets old in hearing it so does it require disaster to force us to be creative for better. Dan: I hope that it doesn’t. Jason: Right, but sometimes it does. It’s a wake up call. Dan: I want and create people to take the initiative, but it is difficult to take the initiative when things are going well, and does a lot of times in retrospect it was what appeared to be something unfortunate around wealth and not least prompted somebody, but then take the initiative and they end up in a better place. I don’t want to minimize at all the challenge that a lot of people are facing right now with hard times, and it may be difficult to think creatively when the mortgages due three days from now, or three days from ago, and you think u know just got to do some, but still in that space is the time we expect to be creative, expect new ideas, expect to see things that you have never seen before. Be reading, talking to people, going to workshops and seminars that are everywhere, don’t cost anything, you know get on the internet listen to podcast like this, get new ideas so you can take a fresh look at who you are, what you are prepared for, what you are going to move into the next season in your life. If somebody had a job for 20 years, I have been working with the gentlemen right now. He has had the same job for 25 years, and now it”s clear. They are trying to get him to quit on his own initiative, so they don’t have to give him anything that they would have to say fired him. Anyway that’s a real common scenario being played out. Well he is terrified, at least he was and so we started to looking at this. I said my gosh you had the same job for 25 years. You really haven”t had that much of an increase in compensation, at least paid pretty well, but that it really hasn’t been dramatically himself. Do you think that you perhaps are a different person then you were 25 years ago? Are you more skilled then you were 25 years ago? You have opportunities changed where you would be more of a employer. I mean there is all kinds of things in his favor, and I think you can walk out of that and double this compensation even if he just wants another traditional job. Jason: Sometimes that lay off or getting fired from that job like you said it”s the best wake up call, so unfortunate and unwelcome, but so many times and we have all heard the stories Dan about how that led to the inspiration that really created some great new thing for the person going through it. I can”t remember who it was, but they say there is basically two ways people get motivated by either inspiration or desperation. Jason: And I know there are a lot of desperate scenarios out there today, no question. Dan: I had it probably going in here too. I mean I wasn’t exactly born with the silver spoon in my mouth. I mean I haven”t been where I am for a long period of time. You know what people see of me today you know as a successful author and coach, and you know we had other company and interesting things like that. That’s happened pretty quickly. I mean I had a period of time, and I was 42 years old and this happened. When I was 42 years old, I crashed and burned big time. I mean I came out of the business disaster. I owed the IRS and vendors about $450,000, and I thought it”s never going to get any worst than this. But at that time I knew I had a couple of clear options. Now I could go get a job. I mean I could get a job teaching at the university, you know get my $60,000 or whatever, you know and be okay with that, but I knew with what I was facing in terms of repaying debt that I owed I would never see the light of the day. If I did that, if I just got a traditional job, I wouldn’t live long enough to have any kind of a life and repay my real obligations. I knew I was going to have to do something creative again. So even in that space is desperate as I was, and believe me we were. I mean IRS took our house, our cars. I didn’t have a car. I borrowed a car from a friend, an old beat up _____ [0:33:24] car just so I could get from point A to point B. Started from that, but I resisted doing something just traditional even thought our utilities were shut off, and all the horrible things that you hear about. But I jumped back in as a creative person actually in that space I needed income quickly and I took a position in sales totally commission. No guarantee, no base, no salary, nothing. Totally commission, just give me the opportunity, and I went out, and did my best, and started creating income very quickly again. And not that that was my dream position, it”s certainly was not in any way, but it was something that I could do immediately, and allowed me to start thinking again long term. What am I going to do, where am I going to end up, a year, three years, five years from now? So developed overtime that I have been in a place where I hear these people talking today gee, I”ve got $15,000 in debt, and I just lost my job you know where they are going to give me a severance package for six months of income, and I”m thinking jeez. Jason: That’s a total blessing. I never had a severance package in my life. Dan: It”s better because you have it, and then to repay for six months, just figure what you want to do in the next season of your life. Jason: I know. It”s a great thing, that’s really phenomenal. This is definitely been an inspiring talk, and I think one of the things the listeners need to really remember is that gems are polished by friction, steel is hardened by fire, and these hardships in life if handled correctly they really do lead to greener pastures and better things. And when you look back on them may be years later, may be even months later, you think boy, I”m so glad it worked out this way. Everything is just kind of always works out, so it”s definitely an inspiring talk. Well, Dan what would you like people to know just to kind of wrap this whole thing up. Dan: Well I would love to just what people know about some of the things that we have going on, and then they helped them in their own journey. I mean we have a social networking site. I kind of hesitate to call up that because it reminds people of MySpace in Facebook where you just go in and put in what you had for breakfast this morning. I think we are really interested in that, but it”s an idea of network. 48days.net and it”s just a whole bunch of happy people who have ideas that they are developing. A lot of them aren”t sure how to do that well, but you know what there is a power of synergy, and linking arms with other people who are on the same path. So if they have technology questions they ask each other. I don’t have to have all the answers, and I don’t. If they have questions about marketing they ask each other. The 48days.net is just a fun place for people to experiment as they move into new creative ideas they want to develop. The way we had a lot of resource because we would be delighted to share people on those, got a couple of books 48 days to the work you love, no more Mondays is a more recent one. It”s real popular that talks more about these creative ideas like we have talked about here. But I want to encourage people that you know just if you lose your sense of hope, you really are dead in the water. But as long as you have a sense of hope there are so many opportunities today, and I don’t want to be just some empty headed optimist, but I”m really one of these glass half full kind of guys because I just see the reality of what people were able to do out here. We are hearing from the people everyday too, and I”m thrilled to do so that we were saying that for the first time I really did tapped into my dreams and my passions. I would have never done, and I had not been confronted with this. You know I”m so grateful that I have been released to really go with my dream, and start this next season of my life you know with the sense of purpose. Jason: Well that’s fantastic. By the way can I ask you where do the name 48 days come from? Dan: You know I would like to say that it was some kind of a scientific process, but it really was more art than science, but I used to — my business used to be called the Business Source. Now if there are any three more generic oatmeal names in the world I would like to know what they are. The Business Source, nothing unique about them at all and you do a Google search and you are going to get millions. This is back when 48 hours was becoming popular as a TV show. And I thought how could I get some brand recognition if I use the 48, and I was looking for some kind of a timeline because I was becoming increasingly frustrated in working with people who are not enjoying what they were doing, we would map out a plan of action, and two years later I realized they didn”t do anything, like oh my gosh, how is this possible, so I do said we need a bit of timeline. And I believe that 48 days in enough time to access where you are. Get the advice and opinion of other people, look at what your alternative are, narrow down to the best three or four, do a little more research, choose the best one and act. Now I have really stick to that too thus if I work with somebody and we go through that process just as I described it, we really went to day 49, they haven”t done anything, that’s fine. I”m going to be your friend, but I realize you”ve made a choice. You have chosen to continue what you are doing, that’s perfectly fine. But frankly I don’t want to invest my time anymore beyond that. Well, that”s difference between a coach rather than a counselor too, but I move people through quickly coming up with creative plan for the action. I want to see new results, and I think 48 days is enough time to do that. And it”s just unique enough Jason that it gets people’s attention. It”s not something more common like 30 days or 60 days or 90 days, 48. People ask about it just like you have, and then they will get excited about the fact that you mean I really can change my life in 48 days? And my response always is yes, you can if you create a plan. Jason: Well that”s given people some hope. Dan Miller, thank you so much for joining us today. We really appreciate the inspiration. I know people are facing a lot of difficult times out there today and we want to turn them around, and help people turned lemons into lemonade, so you help people do that. Thank you so much. Dan: Well, my pleasure Jason that I have been with you. Introduction Copyright the Hartman Media Company. For publication rights and interviews please email [email protected] This show offers very general information. Opinions of guest are their own. Nothing contained herein should be considered personalized, personal, financial, investment, legal or tax advice. Every investor strategy and goals are unique. You should consult with a licensed real estate broker or agent or other licensed investment tax and or legal advisor before relying on any information contained herein. Information is not guaranteed. Please call 714-820-4200 and visit www.jasonhartman.com for additional disclaimers, disclosures and questions (Top photo: Flickr | axlape).